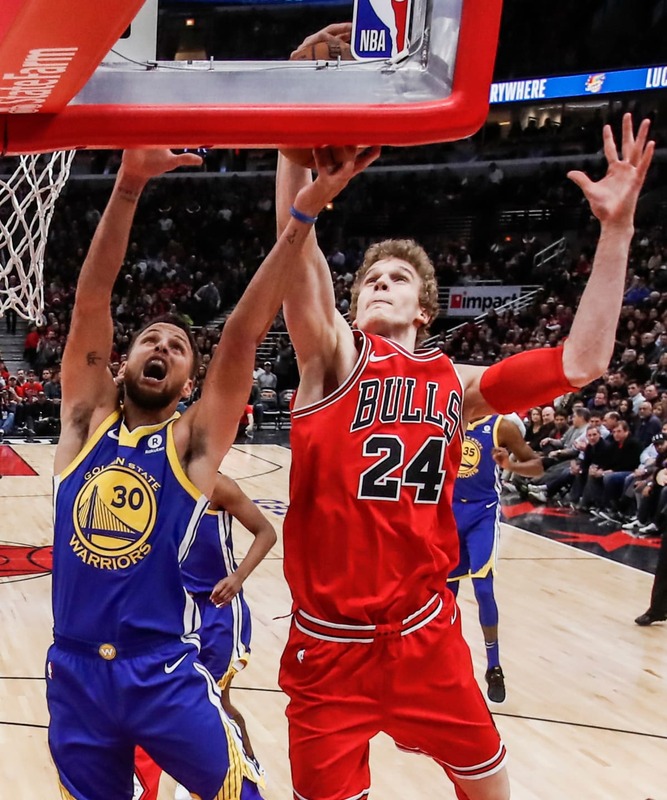 Recapping this NBA season would be a disaster without diving into some of this year’s most exciting rookies such as Donovan Mitchell, Lauri Markkanen, and Lonzo Ball. Thankfully, this year we were rewarded with such awesome talent after having somewhat of a let down last season. When looking at these rookies we have to take into account their offensive and defensive statistics, how they’re helping their team win, and the all important eye test. This article is not trying to assess what these players will be in the future. Coming in at number 10 is the King’s own De’Aaron Fox. Fox has received a lot more playing time this season when the Cavaliers acquired George Hill via trade. This opened up doors for Fox to stop in and assume the point guard duties. He’s averaged close to 10 points a game most of this season. He’s been fine on the defensive end of the floor but still needs to work on his jump shot and will hopefully develop more strength as well. 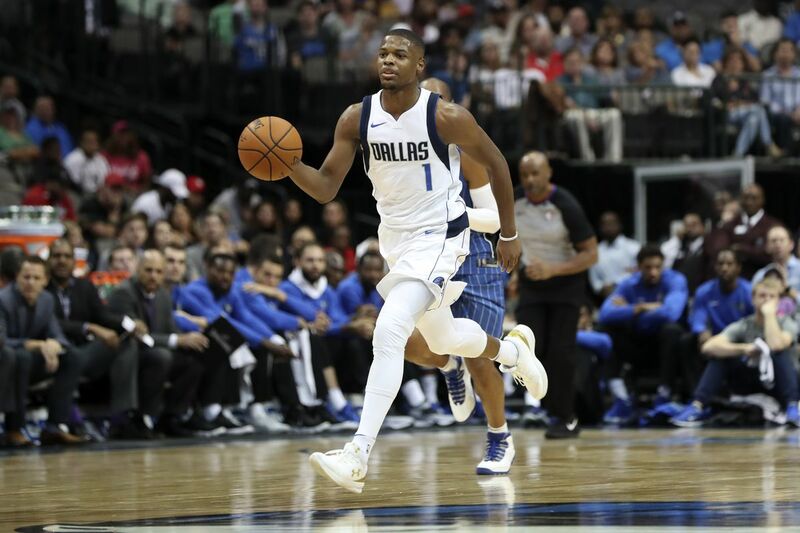 9 – Dennis Smith Jr. If this were a ranking based on pure athleticism then Dennis would most likely grab the top spot. Dennis acts like he wants to dunk on everyone he plays against. He’s not scared of anyone. Just watch this dunk attempt and you’ll see what I mean. He plays with a similar mentality to Russell Westbrook. The Mavericks have a good investment in their future as long as they can hold on to him. It wasn’t easy placing Lonzo over Smith. They both can do a lot, but I felt as if Lonzo has been much more vital to the success the Lakers have had this season than Smith has. Lonzo isn’t a phenomenal scorer but he does contribute with great passing skills and is a solid defender. Early on Lonzo’s shooting was a huge problem, but as the season progressed he improved his shot. This is expected for a young rookie especially one who has been thrown into a large spotlight. Josh Jackson was similar to Lonzo Ball in the area of a slow start. It seems that the end of this season has been good for him. He has gotten more playing time, with help from a few injuries in Phoenix. His shooting percentage from three really bothers me and is one reason he isn’t higher on this list. He has been able to put up decent numbers while Booker and Warren have been sidelined, but that may be a facade since we don’t see many W’s to back it up. 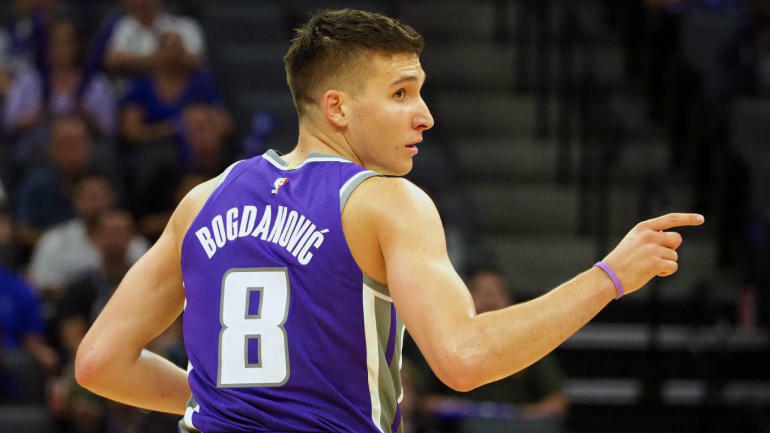 The second King to make this list is the 25 year old Bogdan Bogdanovic. The kid has shot the ball well this year. Just under 40% from three. He has a good understanding of the game and has been their go to guy at many points this season. Bogdan could be a very useful player for a team that needs to add some shooting. 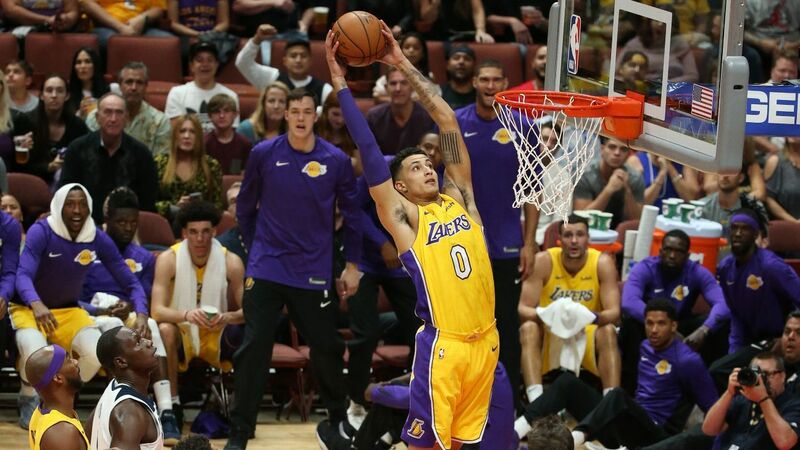 Kuzma’s second half of the season wasn’t talked about as much as his first half. Before the all star break it seemed he was in plenty of ROY conversations. No one was expecting him to be the Laker in these discussions before the season kicked off. After the all star break Kuzma averaged 17.4 points. He is an offensive talent, but certainly needs a lot of work on the defensive side. This 7 foot forward has logged almost 30 minutes a night for the Bulls. The kid has been a great find and I’m sure Chicago is glad they have a youngster to build around. Lauri is praised for his hard work ethic. You can see it every time he steps on the court. There aren’t many pieces around him yet and it is hard to fault him for many of their losses. The Bulls could be a couple years and a couple moves away from having a very good team. Jayson is a thrilling player to watch. Maybe it’s because he’s on the Boston Celtics and Brad Stevens knows how to use guys. Or, maybe Jayson is simply an extremely skilled player. Either way Tatum has executed well this season. For much of the year he led the league in three point shooting. He’s now heading into the playoffs as one of if not their primary scoring option. Well, this is what we’ve been waiting for. No matter who ends up at number 2 I’m going to be wrong. Donovan Mitchell is an unbelievable talent. It blows my mind to look back and see that this dude fell so late in the draft. Seeing this come together is a true testament to the work he’s put in and also to the Jazz for developing and giving him the opportunity to succeed. After leading the Jazz in scoring this season he is already in lists of greats such as Larry Bird and Lebron James. Not many rookies often lead teams in scoring but when they do they turn out to be a special kind of player. I think it would be a safe bet to say Donovan is going to be a special player. It is excruciatingly difficult to keep a guy out of the #1 spot when the only argument you are able to find against him is “he isn’t a rookie.” Although, I do agree with Donovan Mitchell’s latest fashion statement. The “he isn’t a rookie” argument is really hard to defend when the NBA recognizes him as a rookie. If Ben wasn’t recognized as a rookie and people were lobbying for him to be rookie of the year then we would have a problem and I would have to leave him off this list. Fortunately, this isn’t the case and I can bask in how incredible of a player this dude is. He really is something to watch. If you haven’t seen this guy play you need to make sure you’re watching the playoffs. He can pass, score, defend, and rebound. Ben averages over 15 points, 8 rebounds, and 8 assists. Not only this but he is able to guard some of the best players in the league. Ben grabs just under 2 steals a night. He has helped take the Sixers to the playoffs for the first time since 2012. His IQ is off the charts for any player, rookie or not. Ben just like Donovan Mitchell is a special player. Ben has done slightly more to earn himself the #1 spot on this list. (In no specific order) John Collins, Milos Teodosic, Frank Ntilikina, Josh Hart, OG Anunoby, Bam Adebayo, Jordan Bell, Cedi Osman.